LOVINGLY created by our talented kitchen, The Red Lion offers a continually evolving menu celebrating the changing seasons and the finest ingredients from British farmers and local producers. Our robust and unpretentious cooking using exquisite, seasonal produce has won us many loyal friends who want to eat delicious, thoughtfully produced dishes, where the ingredients do all the talking. In addition to our kitchen menu, our exciting daily specials boards offer exceptional fresh fish from Cornwall and a selection of lighter lunchtime bites; from a classic sandwich on sourdough to a Cacklebean Farm egg frittata or quiche. Meanwhile, Sunday’s are all about a show stopping Woburn roast with all the trimmings. Our team has teamed up with renowned local wine expert Noel Young to put together a wine list which is at the very heart of the Red Lion passion project, our aim to create an exciting selection of wines to suit all palates and pockets with one thing in common - they all taste delicious. A lively mix of favourite beers and artisan ales are available alongside our exciting but accessible wine list. Our full menu is available in our cosy country inn bar, along with a large selection of drinks and bar nibbles. A celebration of the ancient and modern, our atmospheric dining room is a beautiful fusion of colonial chic and contemporary themes. Moody interiors, copper accents and white blooms provide a very special setting for dining at The Red Lion. 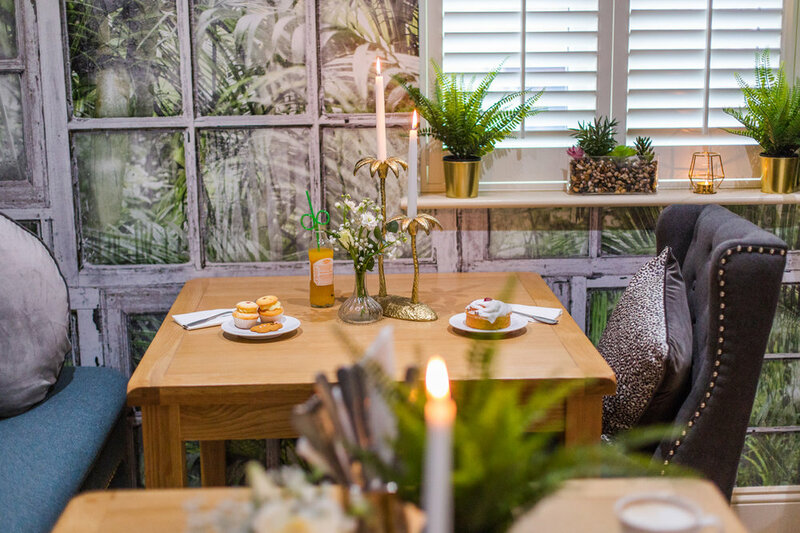 An intimate space for up to ten guests, our quirky conservatory room promises dining with the wow factor. Bringing the garden inside, our tumble-down glass house also provides a sensational venue for private dinners and meetings among the creepers, palms and vines. Companions Real Bread Company is just one of the local artisan food producers we are delighted to showcase at The Red Lion. This Bedford-based community project offers ex-offenders a fresh start and they produce delicious, award winning breads. © The Red Lion, Stevington. All Rights Reserved.